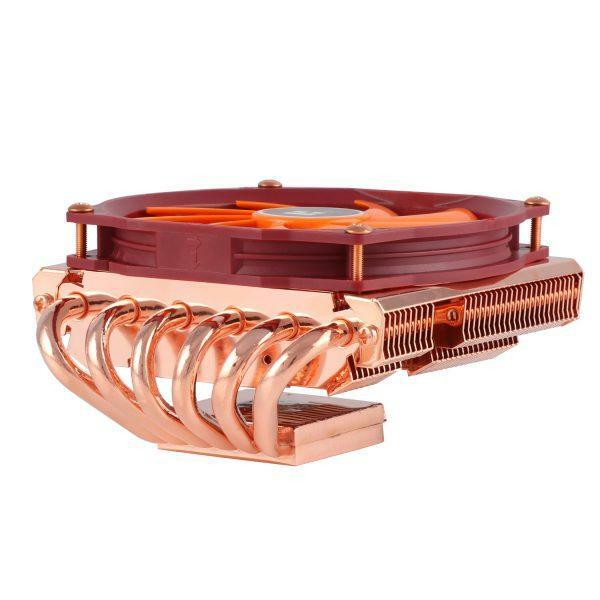 Thermalright, a manufacturer of computer cooling solutions established in 2001, presents the AXP-100-Full Copper CPU cooler for the latest Intel and AMD mainstream platforms. 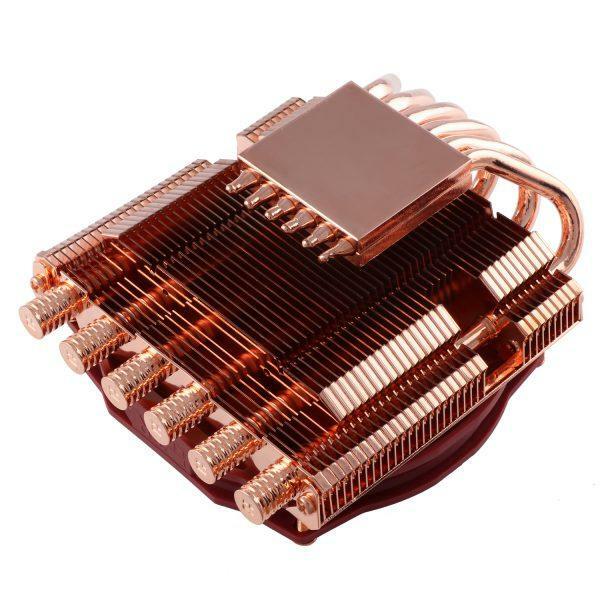 The Thermalright AXP-100-Full Copper features a T-shaped “downdraft” design which directs the airflow perpendicular to the motherboard, pushing air through the cooler and into the motherboard. The downdraft airflow cools the surrounding critical components including the power regulation modules or MOSFETs, memory, and chipset along with the CPU. 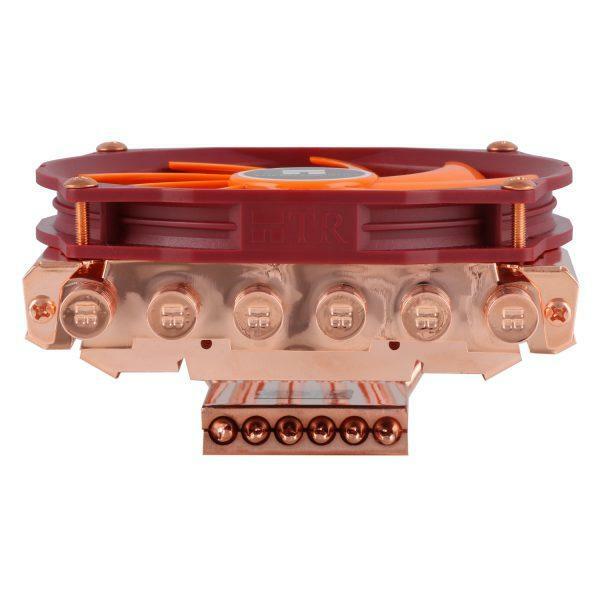 The Thermalright AXP-Full Copper has six nickel-plated copper heat pipes that are soldered into the copper base delivering the best possible cooling performance. The premium copper cooling fins are designed to effectively dissipate heat having minimum air resistance. The standard “Enhanced Fan Mount” allows maximum compatibility in the fan assembly resulting to a low-profile design that makes it ideal to small form factor and HTPC cases. It comes with slit-shaped fan mounting holes to allow horizontal or vertical adjustments to the fan by up to 15mm depending on the fan bracket orientation. 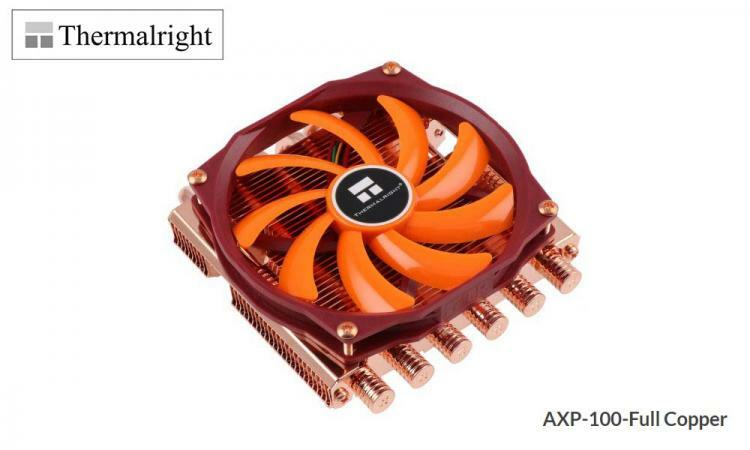 Learn more about the Thermalright AXP-100-Full Copper here.